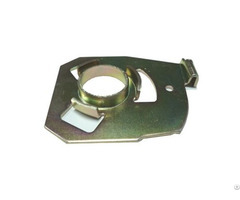 •Features: Optimize your current cooling effectiveness. 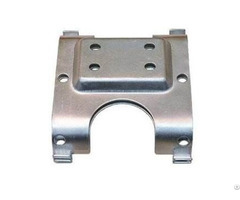 •Allow cables to pass through securely without significant airflow leakage. •Apply to 1U, 2U...cabinets or rack configurations. •Accurate size and precise tolerance. 7.Customizing the products based on the unique request of your data center, from Length, Angles to R, even holes distribution. 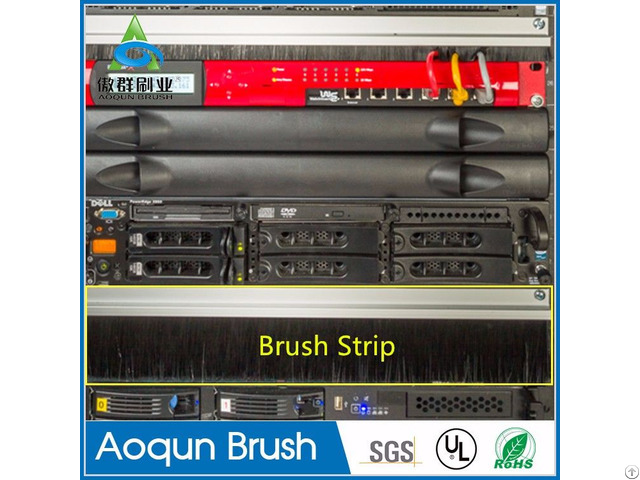 Business Description: Guangzhou AoQun Brush Industry Co,.Ltd is the leading brush manufacturer with more than 10-year experiences in R&D, design, manufacture,sale and related service for Escalator/Elevator Safety Brush, Door Strip Seal Brush, Grommet Brush for Server Rack Cabinet/Raised Access Floor/Technical Furniture/Letter Plate Brush/Wall Plate Brush, Roller Brush, Inverted Disk Brush/Bottle Brush/Tube Brush/Medical Brush/CPAP Brush/Filter Brush/Gutter Brush, etc. We have set up the quality management system in accordance with the ISO9001. Moreover, we qualified by CNAS and IAF, and the enterprise authentication of work safety standard. We insist on scientific management and strict process management. Since 2009, we have become the long term supplier of many honored customers like Mitsubishi, Panasonic, Kone,Otis,Thyssen,Combi,GEZE,Faiveley, ST-Electronic, China CSR and etc.Continuing focusing on the quality,technical improvemetn, service, cost control push us improve better and better in the brush industry.